Time here passes slowly, while thoughts dance plunged into an atmosphere of harmony and wellness, ready to awaken the five senses. 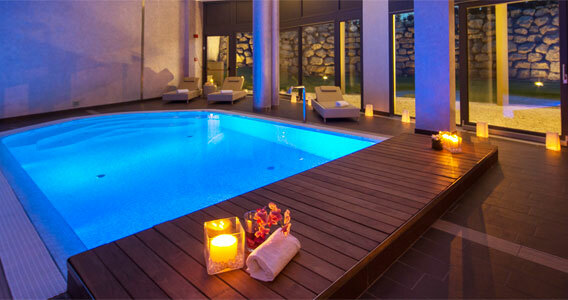 The SPA is a unique, refined and private place that reveals itself thanks to a perfect and balanced combination of vapor, lights, perfumes and sounds that harmonize body and mind, release deep energies, enhance everyone’s inner beauty. Open all the year-round, it welcomes anyone wishing to rediscover their true selves, indulging in a moment of peace and relax, away from everyday life stress and urban chaos. 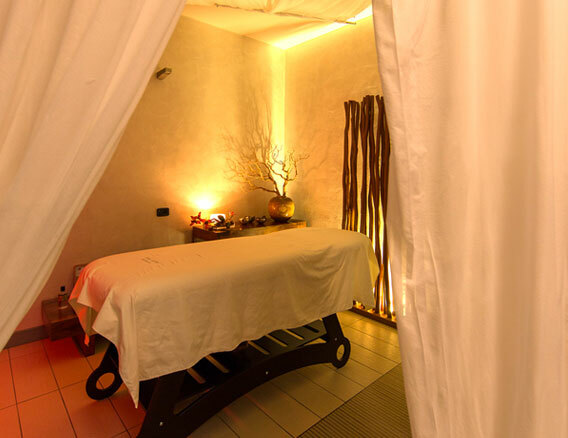 Thanks to our paths conceived following the holistic principles and to personalized treatments, The SPA transforms water into a source of energy to eliminate tiredness and to rediscover wellness. For all traditions, water is a concept associated to the awakening of senses: we like to interpret it as a relaxing experience plunged into the whirlpool bath, indulging in a regenerating break in the Finnish sauna, an embracing bath of vapor that releases tension, a multi-sensorial path with the emotional shower that activates an energizing shiver thanks to the ice waterfall, until finally indulging in an aromatic infusion, crouched in our relax area. The emotion of antique rituals transforms itself into an unforgettable experience. Water and fruits, music and chromo-therapy paths to harmonize body and mind are available for our Guests. For a complete moment of wellness, Guests can extend their experience with an aperitif or a light break at the Onyx Café, or they have the possibility to taste the gourmand specialties at the L’Officina restaurant. Free services: bath cloth, slippers, coatroom and sheltered parking. The Spa hosts special events, such as birthday and anniversary parties, bachelorette parties and evenings out, providing you with an emotional experience able to meet your desires. Do you wish to donate an emotion? Our Gift Card is the ideal present to amaze and thrill!